Schematic shows the light trapping effect in nanowire arrays. Photons on are bounced between single nanowires and eventually absorbed by them (R). 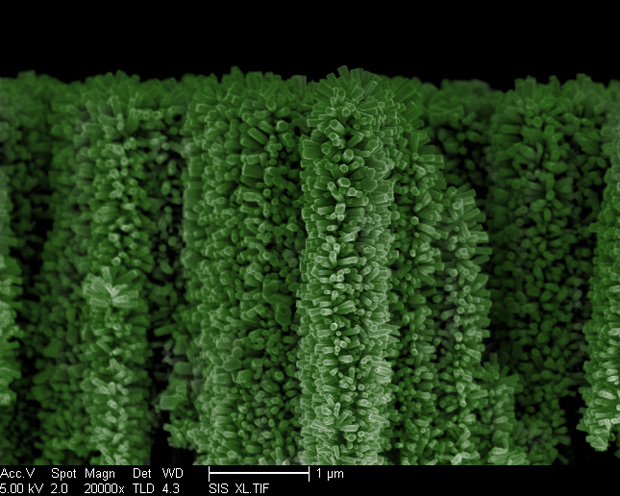 By harvesting more sun light using the vertical nanotree structure, Wang’s team has developed a way to produce more hydrogen fuel efficiently compared to planar counterparts where they are reflected off the surface (L). Image Credit: Wang Research Group, UC San Diego Jacobs School of Engineering. 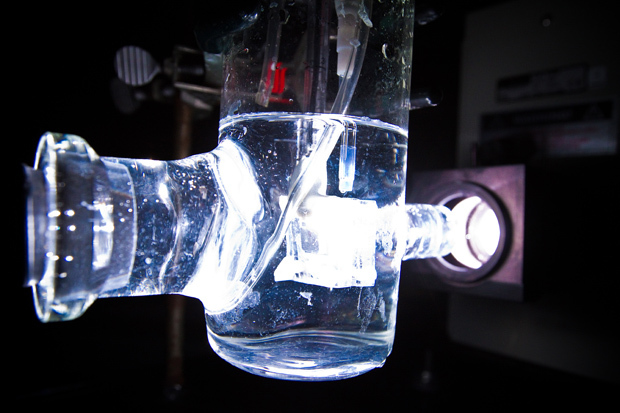 In the long run, what Wang’s team is aiming for is even bigger: artificial photosynthesis. In photosynthesis, as plants absorb sunlight they also collect carbon dioxide (CO2) and water from the atmosphere to create carbohydrates to fuel their own growth. Wang’s team hopes to mimic this process to also capture CO2 from the atmosphere, reducing carbon emissions, and convert it into hydrocarbon fuel.